Flame Tree Publishing, 9781786645326, 480pp. "It is a truth universally acknowledged, that a single man in possession of a good fortune must be in want of a wife." One of the most famous lines in literature is celebrated here in this deluxe edition, coinciding with Jane Austen's 200th anniversary year. 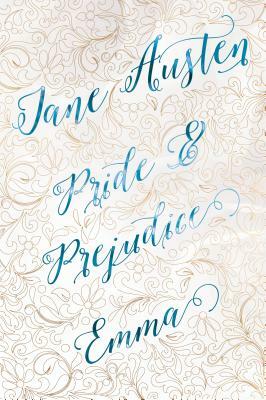 Emma is a wonderful companion to the precision of Pride and Prejudice, offering a book both to enjoy and admire. Award-winning author Carrie Bebris is best known for her Mr. & Mrs. Darcy Mystery series. Set in Regency England, the novels entangle some of Jane Austen's most beloved characters in intrigue. In addition to her novels, Carrie writes nonfiction and pens articles for Jane Austen's Regency World magazine. Carrie holds a master's degree in English literature with an emphasis on 19th-century authors and studied Austen on the graduate level with one of today's most respected Austen scholars. She is a life member and regional coordinator of the Jane Austen Society of North America, and travels to England to enhance her understanding of Austen's life and work.